Hot flushes, memory loss, joint aches and anxiety are just some of the menopause symptoms costing the UK economy 14 million working days every year. Almost a third of working women in the core ‘menopause age’ – aged between 50 and 64 – are having to reluctantly take time out of the working week to alleviate menopausal symptoms. Across the year this mounts up to over 24 hours which has a potential productivity loss, across the UK female workforce, of 14 million working days. In a bid to compensate for the loss, over half of women aged between 50 and 64 choose to work extra to make up for the time lost – that’s over two million women4 giving up their own time for something which is out of their control. New report findings reveal the impact doesn’t stop there, with over 370,000 working women in the UK aged between 50 and 64 admitting they have left, or considered leaving their career, because dealing with the symptoms in the workplace is too difficult. The research commissioned by Health & Her – an online platform specialising in helping women manage the menopause – surveyed women over the age of 50 across the country, looking specifically at behaviours of women aged 50 and 64, the core menopause age. The menopause is like a fingerprint, no two are ever the same. There are over thirty recognised symptoms and on average women experience eight of those meaning every women’s experience is different. 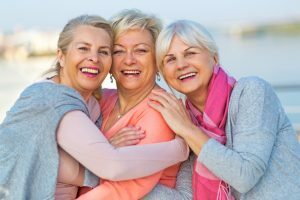 Almost a quarter of women aged between 50 and 64 find the symptoms of the menopause so debilitating that they consider reducing their working hours or changing their working pattern completely. Kate Bache, co-founder of Health & Her®, says: “Our research found that just a fraction of women who experience difficulties during menopause will speak to their employer about their symptoms. The truth is this lack of discussion and transparency about the menopause is having, and will continue to have, a serious impact on the economy and there is a huge risk that a pool of expertise, talent and skill could be needlessly lost. Outside of work, the menopause also has an enormous impact on other areas of a woman’s life. Mental health, mood and social lives can all be affected contributing to the fact that women aged 50 to 54 have the highest suicide rate in the UK. A quarter of women admit that their relationship with their partner is affected, no doubt one of the driving forces behind the divorce rate amongst the over-50’s increasing for the first time in 10 years – with 65% of divorces initiated by women.